This particular car ride was a convoluted mess all the way around. “I smell Cheez-Its,” declared Max out of left field in the back seat. “How do you know what Jesus smells like?” asked Daddy. 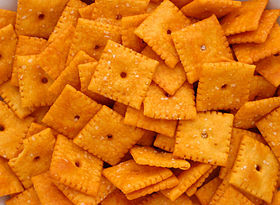 “Cheez-Its!” said Max loudly and with decided emphasis.